A clean desk policy (CDP) is a company-wide initiative concerned with the state employees leave their workspaces in at the end of the day. Generally implemented for security reasons, the goal of the policy is to limit the possibilities of external parties seeing sensitive documents. With GDPR rapidly approaching, companies of all sizes are ensuring that they’re fully compliant with the new, stricter data security regulations. Broadly speaking, a clean desk policy requires all employees to remove paper from their workspace at the end of the day, at which point it will either be shredded or securely stored. Sanctions for internal non-compliance can range from warnings to fines. Office managers or team supervisors are normally responsible for enforcement. The primary reason for creating a clean desk policy is the additional information security it creates. By ensuring that no sensitive documents are left on display, external parties such as cleaners or building staff won’t have access to them out of hours. Not only helpful for compliance with GDPR (or the current Data Protection Act), a clean desk policy can also be an important step towards obtaining additional accreditations, such as ISO 27001. For these accreditations, it’s important to show evidence of compliance across the company, not just at the top level. 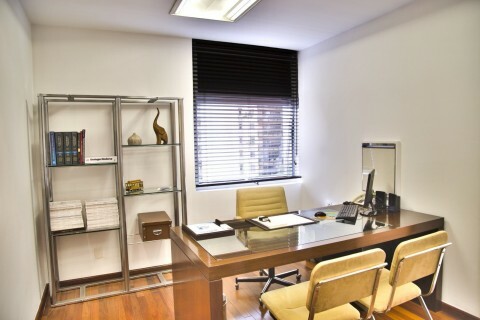 A well-designed clean desk policy does the job perfectly. Aside from the compliance benefits, a CDP can also make a workplace appear more professional. It provides an incentive for employees to keep their desks tidy at all times, preventing stacks of paper and other clutter from building up. This allows the business to make a better impression on clients, investors and any other visitors who may take a look round. Another advantage is the reduction of waste. As we’ll explore in a later section, clean desk policies naturally lead to fewer documents being printed and circulating round the office. A CDP also tends to require a more regulated way of disposing of unneeded documents, which means that it’s much easier to enforce company-wide recycling as the preferred method, whether that’s through your own paper bins or an external waste management company. Implementing a clean desk policy across the company is undoubtedly difficult, but it’s achievable if done properly from the outset. The first stage is to get buy-in from all senior management; the policy has to be embraced from the top down if it’s going to get any traction with employees. Once the specifics have been agreed upon, the policy should be written up and made available for any to reference should they need to. This could mean sending employees digital copies as well as putting written versions around the office or in communal areas. It’s also important that there’s a clear enforcer for each part of the office. In a smaller environment this could be a single office manager, but in larger workspaces it’s likely that supervisors will have to be responsible for their team. These people will be responsible for checking that the workspace is tidy and for determining sanctions if necessary. However the policy is communicated, it’s important that employees understand why it’s there. It’ll be much harder to get them on board if it seems like an arbitrary directive from on high. Emphasising the security and environmental benefits is a good way to appeal to the vast majority of the people affected, which will make the implementation process much easier. Anything that you can do to make desk clearing and decluttering easier for your employees is going to help smooth over the adoption process for the new policy. An important step is providing dedicated storage space for documents that will be needed again, and guidance for how to dispose of waste paper. 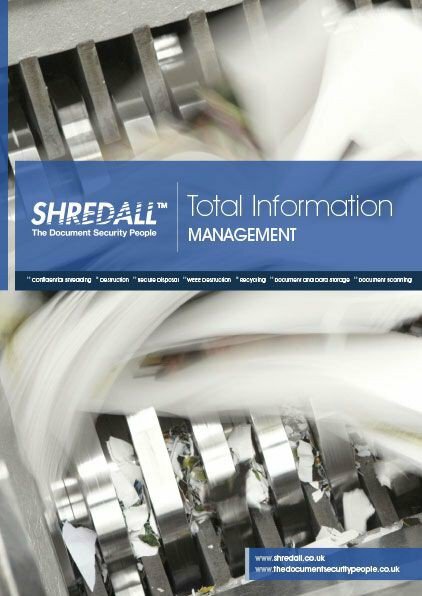 If you lack the means for secure disposal within your own business, working with an document management company like the Shredall SDS Group is an excellent solution. These businesses often provide options to shred your paper waste on-site or off-site, and will also provide lockable bins to collect waste documents in before shredding. Working with us makes the whole process easier to manage for you and your employees. Another relevant service that we offer is document scanning. The process involves a systematic digitisation of all your sensitive documents, which can then be securely stored or destroyed. 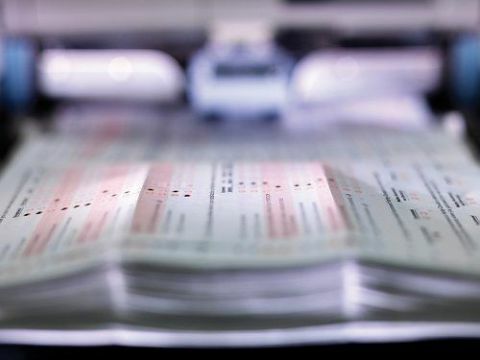 Scanning removes the need to access paper files, placing all the information in a secure online portal, wherein access to different files can be controlled. This makes adhering to a CDP easier and cuts organisational time down significantly. At the same time as releasing a full clean desk policy, employers could send round some tips for decluttering desks and incorporating the new requirements into daily routines without wasting any time. A simple organisational trick is to plan - as far as possible - what you’re going to need on your desk for the day when you first arrive. Planning helps employees to get the right files out of storage in one go, without having to make multiple trips to find more. It’s also important to provide adequate storage for other desk items, whether that’s boxes, trays or under-desk draws. Doing so encourages employees to keep their workspaces tidier at all times, which in turn ensures that important documents don’t get lost or forgotten about at the end of the day. The bottom line is that successfully implementing a clean desk policy is a team effort. It requires buy-in from senior management, whose role is then to make it as easy as possible for employees to stick to the policy across the entire company. Clear communication and thoughtful planning will help to ensure that the adoption process is as smooth as possible, which will allow you to start seeing the benefits of security, tidiness and waste reduction that much sooner.